George Robert Grzeskowiak, 83, of Alpena passed away Tuesday, October 30, 2018 at his home. George was born March 21, 1935 in Alpena to the late John and Eva (Sylvester) Grzeskowiak. On January 5, 1963 he married Elizabeth Hancock. 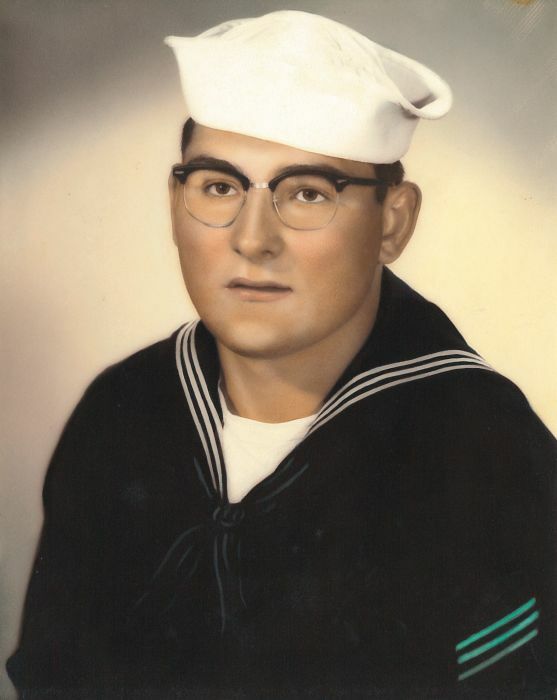 George served in the United States Navy. He was a member of St. Mary Catholic Church and the 4th Degree Knights of Columbus. George loved to hunt, carpentry, and the Detroit Tigers. Surviving are his wife, Bette; two children, Wanda (Chad) Bebow, John Grzeskowiak; 5 grandchildren, Tyson, Megan, Georgeann, Craig, Emma; five siblings, Joseph (Diane) Grzeskowiak, Robert Grzeskowiak, William (Elaine) Grzeskowiak, Frances Mahalak, and Albert (Gayle) Grzeskowiak. Mr. Grzeskowiak was preceded in death by his son, Craig Grzeskowiak; four brothers, Tony, Louis, John, Walt; and two sisters, Rose Elliot, and Eva Chrzan. Visitation will take place at Bannan Funeral Home on Saturday from 11 a.m. until the funeral service at 1 p.m. with Rev. Joseph Muszkiewicz officiating. Military honors will follow by Alpena V.F.W. Post 2496.